Jason Kube is our WINNER in the LogMeIn Ignition iOS app giveaway!! Congratulations Jason!! John Nemo talks to special guest Jackie Richards about upcoming book and Adobe Design. Suzé reviews Camera + for iPhone, iPod touch, and iPad. And finally, John Nemo returns with more reviews, this time of Just Mobile Xtand and Joby GorillaPod Original. Scott babbles slightly, but does everyone a favor by primarily letting everyone else do the talking. 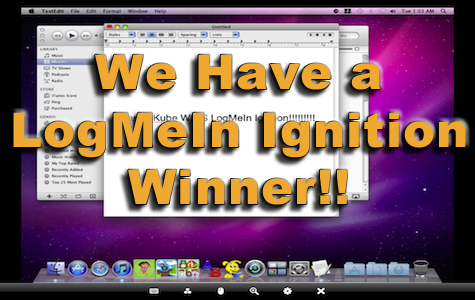 LogMeIn Ignition – Jason Kube won a FREE copy by participating in our giveaway! !